Each year once Thanksgiving has passed, I begin to make a mental list of the films I reserve to watch during the final month of the year. 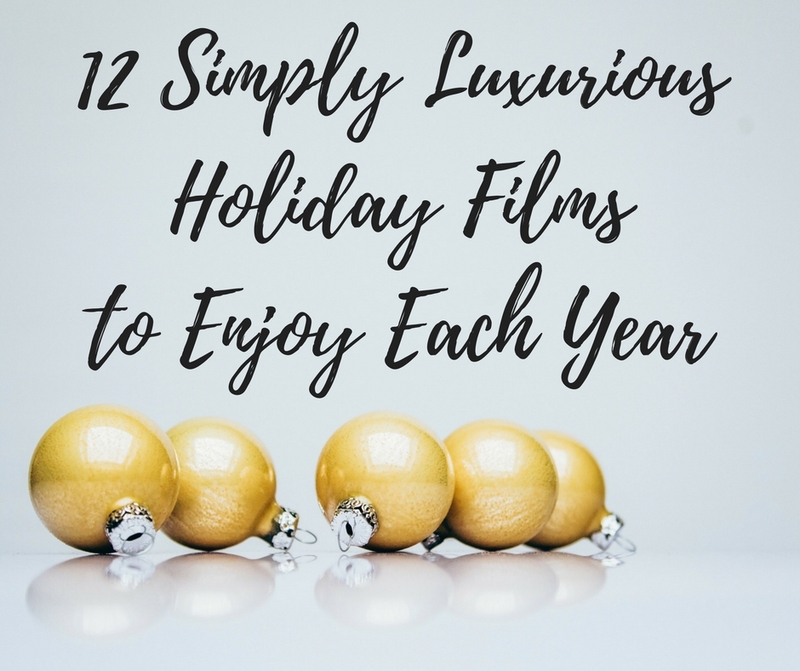 Now don’t get me wrong, there are a few on the list you will notice below that I will gladly watch any time of year, but most definitely, I savor them immensely in December leading up to the new year. For the first time here on the blog, I wanted to make a list of my favorites and highly recommended films you may want to watch this holiday season. In the description of each, I’ve tried to share what mood you may want to be in to watch the film as much like the book we choose to read at night, my mood dictates the film I want to watch or simply have in the background while I putz around the house. Whichever films pique your interest, I do hope you enjoy. Happy holidays! 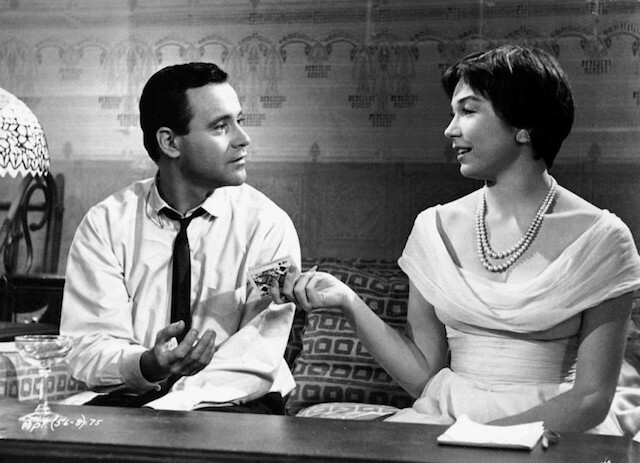 While not necessarily marketed as a holiday film, The Apartment, starring Jack Lemmon and Shirley Maclaine is brilliant. The first time I watched it, I was blown away by the co-stars’ comedic chops and playful repartee. Set during the holiday season, a snaffu ensues which brings Maclaine’s character to Lemmon’s apartment, and the plot begins to unfold. It is lovely. 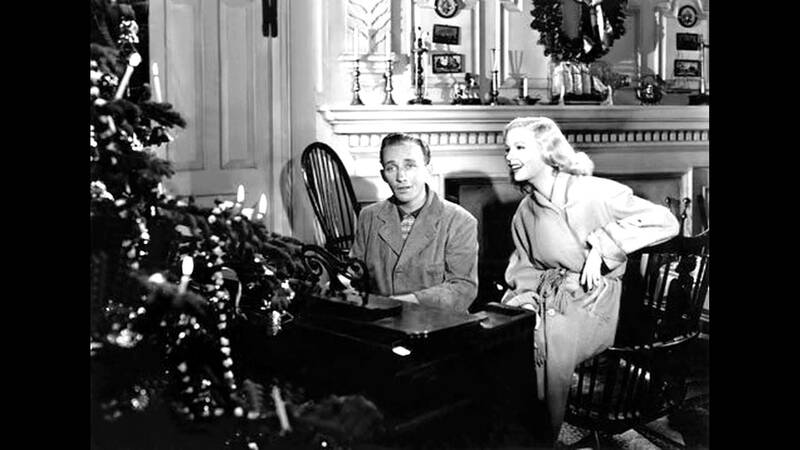 Starring Bing Crosby and Fred Astaire, this is the film in which “White Christmas” actually debuts. An Irving Berlin musical, the plot revolves around the trio, Crosby, Astaire and Marjorie Reynolds (Lila), and yes, a love triangle creates the conflict. Set at an inn at which the trio’s entertaining talents are showcased to guests only on . . . you guessed it . . . the holidays. The source of inspiration for Nora Ephron’s film You’ve Got Mail, the Jimmy Stewart classic The Shop Around the Corner, has a similar, but, in one very important way, distinct, welcomed difference – Jimmy Stewart doesn’t put Margaret Sullavan out of business (my only complaint about You’ve Got Mail – otherwise I adore it). Stewart and Sullavan’s characters are employees at the same mercantile shop in Budapest and are constantly at odds. However, both of them have a correspondence with a pen pal with whom each are beginning to fall for. 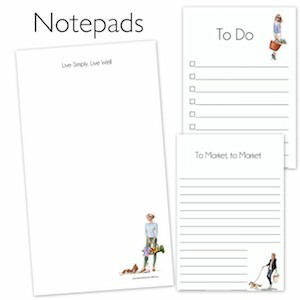 Little do they know, they are each other’s pen pal. 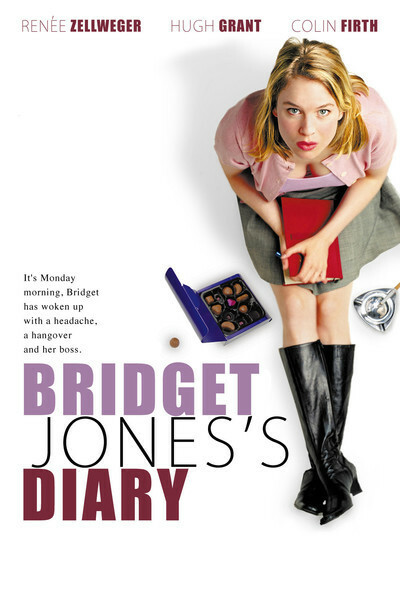 The all-star cast, the multiple plot lines that weave together just so wonderfully, the setting in London and the English countryside, the soundtrack, Hugh Grant dancing (in a recent interview, he shared he was not confident about doing that particular scene – don’t worry Hugh, you nailed it! One of my favorite scenes.). 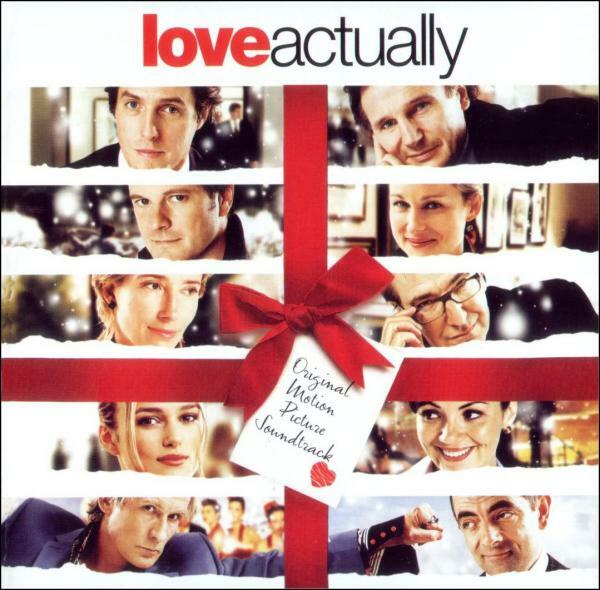 I love Love, Actually. Another all-star cast in an original story. 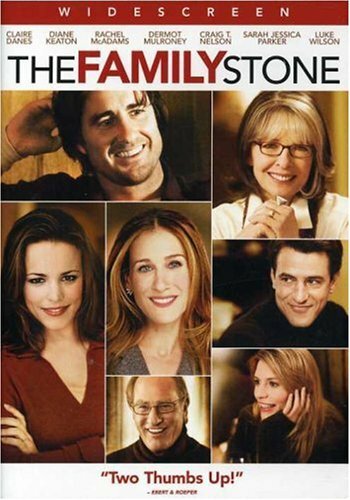 While yes, with a heartbreaking family truth regarding Keaton’s character, the family chemistry, the chaos, the humorous scenes with Sarah Jessica Parker’s character, all come together for a lovely holiday film full of worthwhile life lessons about love and letting one’s hair down. Not many know about Jodie Foster’s film Home for the Holidays, but it is worth taking a look. 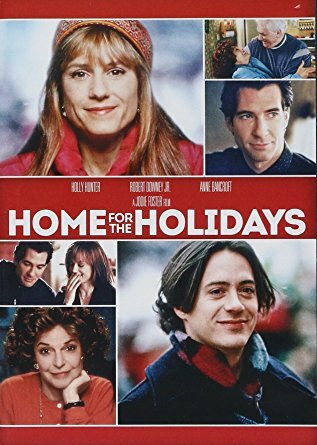 Directed by Foster and released in 1995 if you are looking for a less rosy film, more realistic, honest film about life struggles and family frustrations when it comes to the holidays, perhaps you will enjoy Holly Hunter’s starring role in Home for the Holidays. Take a look at the trailer below. 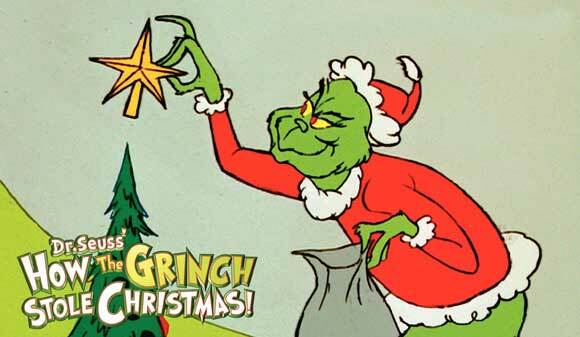 Since childhood I have always been drawn to the classic holiday cartoon of the Grinch. Perhaps it is his tranformation, perhaps it is the kindness and resilience of the villagers or maybe it is the Grinch’s sidekick that endures far too much, but ultimately gets a feast in the end. While I do enjoy Jim Carrey’s version of this story, sometimes a cartoon is quite nice. 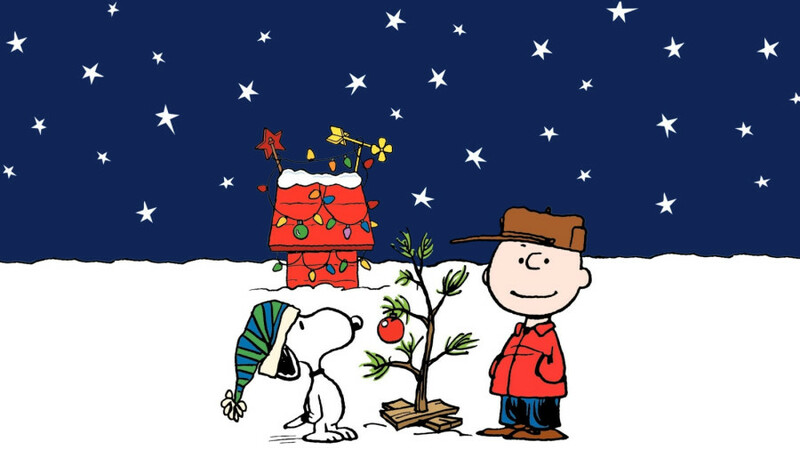 Speaking of cartoons: A Charlie Brown Christmas. I love the soundtrack. I love the short cartoon story. A classic. Yep, a holiday film must-see. Remember the holiday party with the glorious festive sweaters? But more importantly, the beginning and ending are set with New Year’s in the backdrop. Hands down, a holiday film indeed. Enjoy! I have watched this film multiple times this holiday season already. 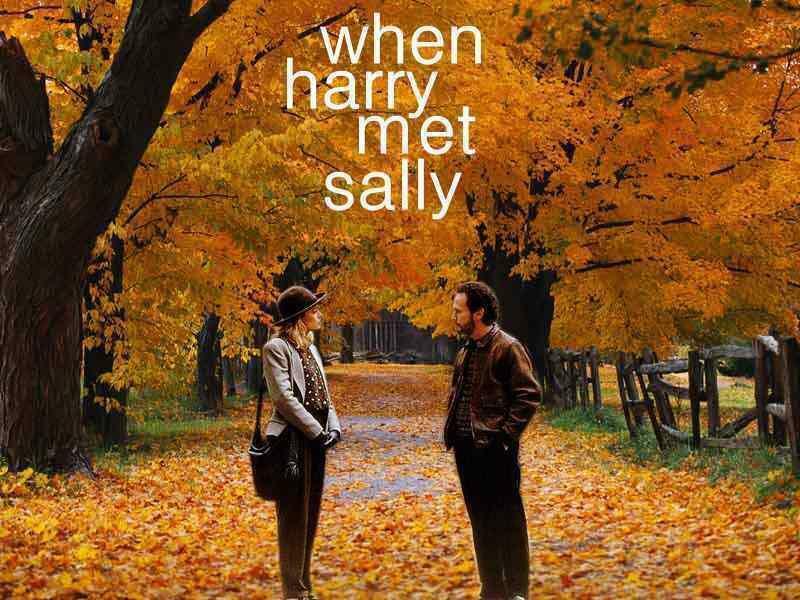 While the film covers the course of the 12 years Harry and Sally have known each other, there are multiple scenes of either Christmas tree shopping or New Years’ Eve/Year parties (the last scene – Harry running, Sally about to leave, yep – a holiday film) that most definitely qualify it as a holiday must-see. 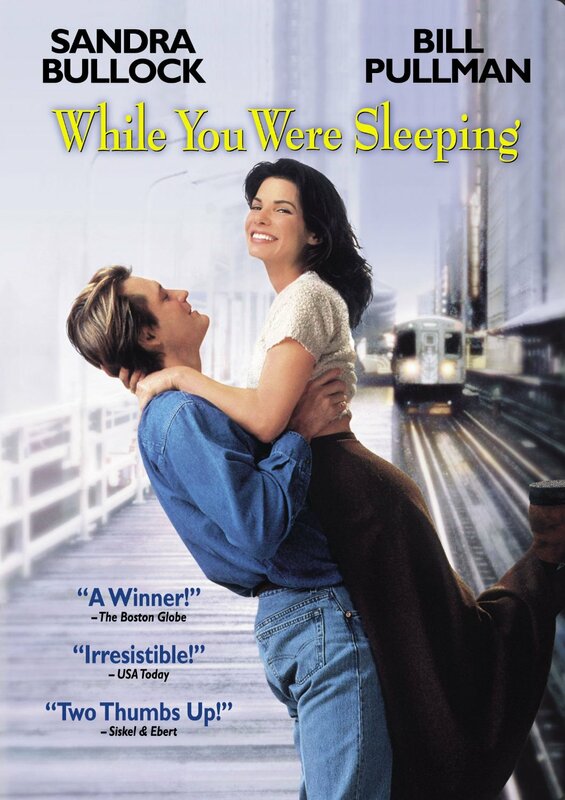 I hadn’t realized how long ago While You Were Sleeping was released (1995), but as I watched the film for the first time in a long time this past weekend, I was reminded why I enjoyed it: Bullock’s character is an intelligent, sincere woman who doesn’t put up with silliness, but at the same time, gets in her own way at times. However, as rom-coms go, her mistakes eventually lead her to exactly where she is supposed to be. Cheesy, but a fun movie to watch. 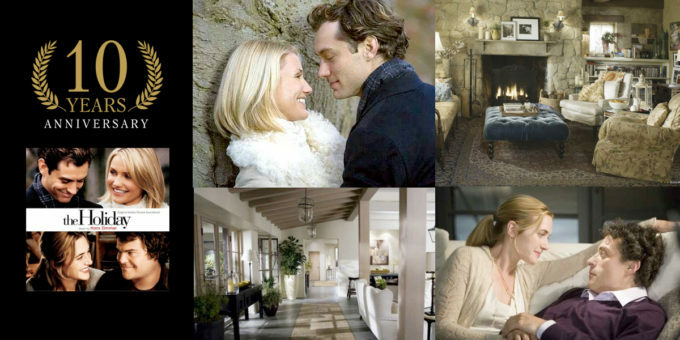 Don’t worry, I did not forget Nancy Meyers’ perennial classic holiday film: The Holiday. Need I say more? Happy viewing, relaxing and enjoying. And happy holidays. 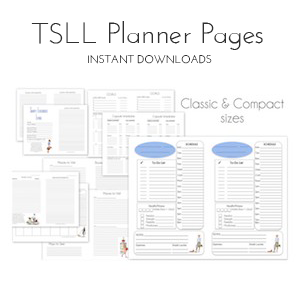 ~View more TSLL Seasonal posts here. Oh thanks for the recs. I haven’t actually heard of quite a few of these so will look them up. Another one of my faves is Serendipity. I love Christmas movies and this is a great list! Thank you! Thank you for stopping by. 🙂 Happy holidays! I agree with your nice selection and will defiantly look up some of them, but I would add Christmas Carol the ultimate Christmas season classic. Great addition. I am eager to see the new film that dives into the history of Charles Dickens and how he created it: The Man Who Invented Christmas. Of all of them, “A Charlie Brown Christmas” is definitely my favorite. For a French holiday find, try “Le Pere Noël Est Une Ordeure,” which is 100% hilarious. It translates roughly to “Santa is a bunch of garbage.” It’s old (1982) but captures a certain old Paris. It’s about the increasingly crazy antics around a crisis hotline as one of the principals tries to get ready for Christmas. It stars some top French actors: Gérard Jugnot, Josiane Balasko, Marie-Anne Chazal, Thierry Lhermitte and, above all, Christian Clavier. Great selection of movies. May I suggest one? “Family Man” This is my all time favorite Christmas movie along with “The Holiday” mentioned above. Oh yes, I did enjoy that one. Another favorite is “About Time” with Rachel McAdams and Domhnall Gleeson. Can’t recommend enough! About Time! Watched it again last night. Favorite movie of all time! Love the list, and have seen almost all of them (The Holiday and Charlie Brown many many times). But I noticed the last time I watched Love Actually that almost every female character gets fat-shamed at least once. It really turned me off of the movie. Has anyone else noticed how many comments concern the actresses’ weight? You missed my favorite… Christmas in Connecticut. It is a charming 1940s romantic comedy of errors. I have to watch it every year. I also like Holiday Affair with Janet Leigh and Robert Mitchum. Oh, I will have to check that one out. Thank you. Moonstruck is another one I’d add. I’m off to watch it now, as a matter of fact! Thank you so much for your recommendations. i watched The Shop Around the Corner and Holiday Inn for the first time and loved them both. I can’t thank you enough for your thoughtful recommendations on so many subjects that have added value to my life. 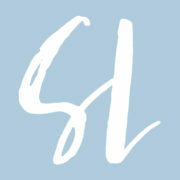 I look forward to reading your blog as part of my daily delights and especially love the This and That Friday posts!! Can’t wait to see what you have in store for us in the new year. I have another recommendation, Hook, staring Robin Williams. Family favorite! I am definitely adding The Shop Around the Corner to my watch list, as I love James Stewart.. speaking of whom, It’s a Wonderful Life is my favourite Christmas film (and simply a favourite all year round but most apt at Christmas as it’s set at that time ending on NYE). Such a lovely film with a great message of why people and family are so much more important than material goods.